Be completely sure you protect all your sensitive data in your database with DataSunrise Data Discovery for IBM DB2. Advanced search tools are needed to scan IBM DB2 for objects that need special privacy protection and allow to easily create rules for the most effective sensitive data security. 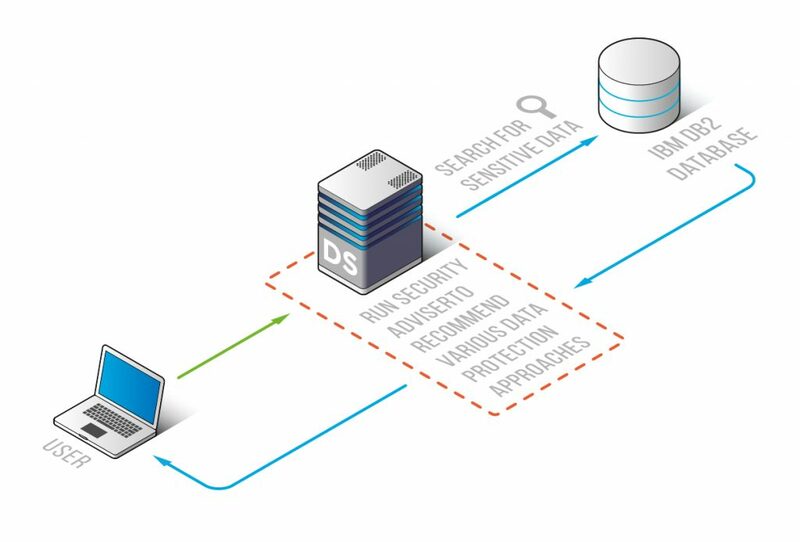 DataSunrise Data Discovery for IBM DB2, sensitive data discovery and privacy protection solution, is dedicated to identifying the location of objects containing sensitive data for their further security. Sensitive data scanning process involves scrupulous extensive IBM DB2 search through special filters for various data types, including but not limited to dates, email addresses, names, SSNs, telephone/fax numbers, website credentials, URLs, account numbers, certificates, various financial data (i.e. credit card numbers, codes, etc. ), geographic information (i.e. names of cities, countries, ZIP codes), medical and personal data, etc. The Sensitive Data Discovery component also provides its users with the ability to use not only the default search filters, but create their own ones with certain data types as well. Filling in attribute templates allows you to perform a search by column names and/or column contents. To narrow down the search it is possible to specify a particular place for sensitive data location – a database, schema or table. The columns with sensitive data in a search result list may be easily secured, obfuscated, masked or audited by applying certain rules. Put IBM DB2 privacy at the top of your list of priorities. Solve the sensitive data leak problem with DataSunrise and its built-in Data Discovery tool.